Mac Wissman has occupied pride of place in the bluegrass arena for more than 70 of his 93 years. He was born on 23rd May, 1925, in Crimora, Virginia. Mac Wiseman was part of the foundation of bluegrass and modern country music. He remained a valuable mentor and ambassador for both genres until his death this month 24th February. Wiseman early hits included Jimmy Brown The Newsboy and ‘Tis Sweet To Be Remembered. While he went on to record over 200 or so projects. His musical career began as upright bass player for country singer Molly O’Day’s Cumberland Mountain Folks. He later went on to play with Flatt and Scruggs and the Foggy Mountain Boys and with Bill Monroe’s band The Bluegrass Boys. In 1951, Wiseman released his first solo single, Tis Sweet to Be Remembered. The success of this release was the beginning of his solo career. Mac Wiseman was one of the founders of the Country Music Association (CMA). In 1986 he co-founded the International Bluegrass Music Association (IBMA). Wiseman was often referred to by a radio personalities as The Voice with a Heart. Other songs he recorded and became noted for are Shackles and Chains, I’ll Be All Smiles Tonight, Jimmy Brown the Newsboy, and Love Letters in the Sand. More recently, in 2014, he released an album of songs inspired by his mother’s handwritten notebooks of songs she heard on the radio when Mac was a child: Songs From My Mother’s Hand. Mac Wiseman was inducted into the International Bluegrass Music Hall of Honour in 1993. He also received a 2008 National Heritage Fellowship awarded by the National Endowment for the Arts, which is the United States’ highest honour in the folk and traditional arts. In 2014 he was inducted into the Veteran Era category of the Country Music Hall of Fame, which is given to an artist who achieved national prominence more than 45 years ago. Mountain Fever Records has released a star-studded concept-album celebrating the life and spirit of Country Music Hall of Fame member Mac Wiseman. I Sang the Song (Life of the Voice with a Heart) will be released January 20, 2017. 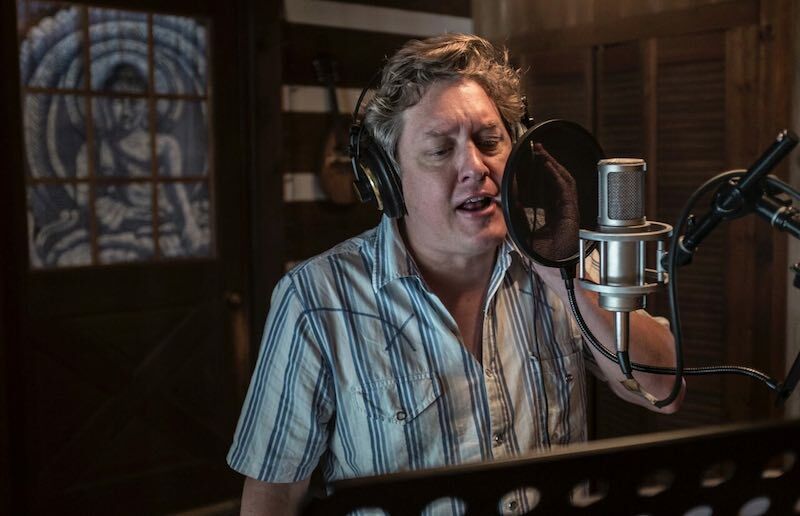 The first single, “Going Back to Bristol,” featuring the International Bluegrass Music Association’s 2015 Male Vocalist of the Year Shawn Camp, is available today. What began as a casual weekly visit among friends quickly morphed into an unprecedented album project. Over nine weeks, Country and Bluegrass Hall of Famer Mac Wiseman met with Peter Cooper and Thomm Jutz, sharing intimate details of his 91 years, and of his journey from Virginia boy to American roots music icon. That journey is the subject I Sang the Song, the joyful and poignant album that springs from Mac’s storytelling sessions. Singer-songwriter Shawn Camp provides the first single from I Sang the Song. “Going Back To Bristol” recounts Wiseman’s affection for a place he’s always held close to his heart. “It’s the birthplace of the music that’s the wellspring of my soul. …the last time I was back there, someone told me ‘Welcome home,’” Camp sings, impeccably, in a voice at once youthful and renewed, rooted and reverent. I’ve been a fan of Mac Wiseman’s all of my life. He has always had a natural ability to tell a story in a song, and make you believe it. I know these stories are Mac’s real-life, true stories. I hope our voices are half as believable as his always has been to us – Shawn Camp. Listen to “Going Back To Bristol“. “Going Back To Bristol” is now available to radio via AirPlay Direct or a direct digital download by emailing a request to radio@mountainfever.com. Consumers may buy the single and pre-order the album via iTunes, Amazon, and Google Play. 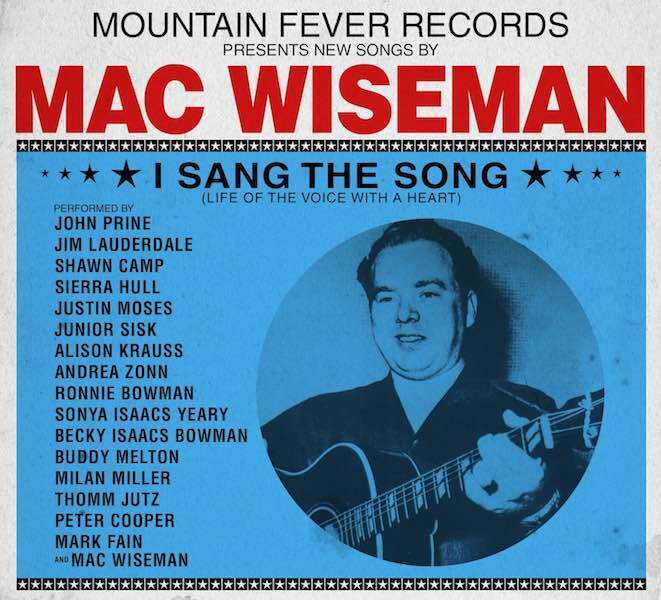 For more information on Mac Wiseman – I Sang The Song (Life of the Voice with a Heart), please visit www.mountainfever.com. Famed for a clear, mellow tenor voice that conveys empathy, kindness, and understanding, Mac Wiseman has been recording great American music for seventy years. He is part of bluegrass music’s first generation, having played in Bill Monroe’s Blue Grass Boys band and in Flatt & Scruggs’ Foggy Mountain Boys, and having sung lead on Monroe classics including “Can’t You Hear Me Callin’” and “Travelin’ This Lonesome Road.” In 1951, he launched a marvelous solo career with “’Tis Sweet to be Remembered.” He helmed Dot Records’ country division, he helped form the Country Music Association, and he became, in Kris Kristofferson’s words, “One of the heroes” of American roots music. I Sang the Song is the first album fully composed of Mac Wiseman’s own words and melodies. Mac Wiseman is a member of the Country Music and Bluegrass Music Halls of Fame.